Last night I hosted some special food and wine loving friends over for a casual Sunday supper. And these folks were worth pulling out some stops for. I put together a menu of small dishes (that in reality were not that small) of Italian savory bites. 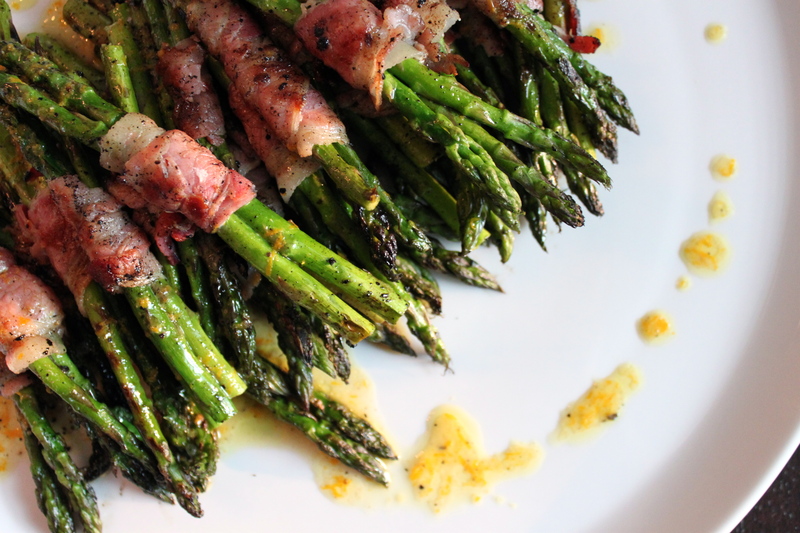 Roasted tomato crostini, pan roasted lemon shrimp, fried cauliflower zeppoli, dry pickled cucumber salad and these most delicious grilled pancetta wrapped asparagus. Oh, and the most perfect almond cake. I think this dish was my favorite out of all. Don’t be shocked by it’s simplicity. Get grilling. What is a dry pickled cucumber salad? It’s a dry pickling method. Using salt and sugar on the cucumbers for just 45 minutes. No vinegar in the brine.